Hi dolls! I'm home! What an amazing road trip. We had such a blast and I got to spend time seeing the sights and spending time with family. What's better than that? 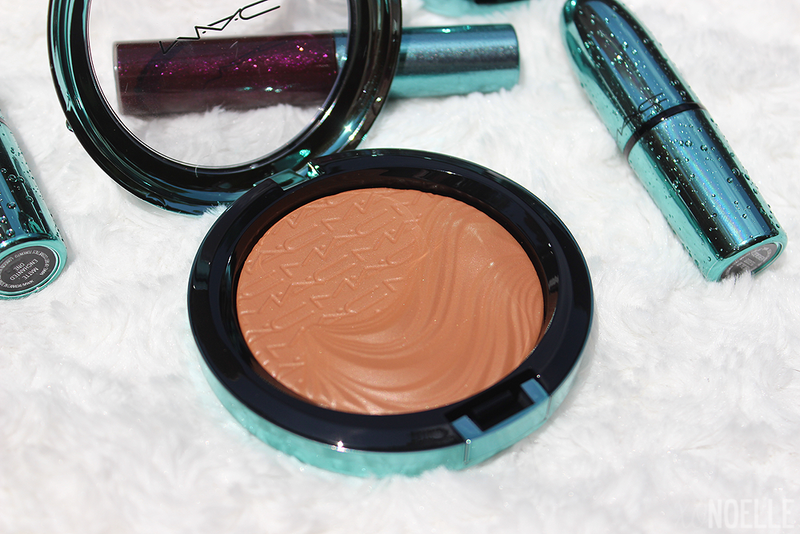 I'll probably do a post about it but until then I have part two of the MAC Alluring Aquatics Collection - The Cheeks! I was trying to think of a cooler title but nothing came to mind. Lately, I can't even remember my own name, let alone a cool title for a post. Pregnancy brain, ladies and gentlemen, it's a real thing. Sea Me, Hear Me is described as a "beige pink". I would describe it as a crazy concoction of a pinky-brown-coral. The picture shows it a little lighter than it's true color but it does have that beautiful satin look to it as shown. The texture was super duper soft and easy to apply. It does go on sheer at first but it's buildable. Delphic is described as a "soft brick tan with a touch of shimmer". I would agree with that. When I first got this in the mail, I was like, "Crap. That's orange." which is no bueno for my light skin, but it actually worked and was flattering. The texture is soft and blends out nicely but is pretty sheer (which is why I think it worked for me). It's somewhat buildable. Overall: These are my first "extra dimension" buys from MAC so I wasn't sure what to expect nor what that really meant. I'm so impressed and pleased with these two! 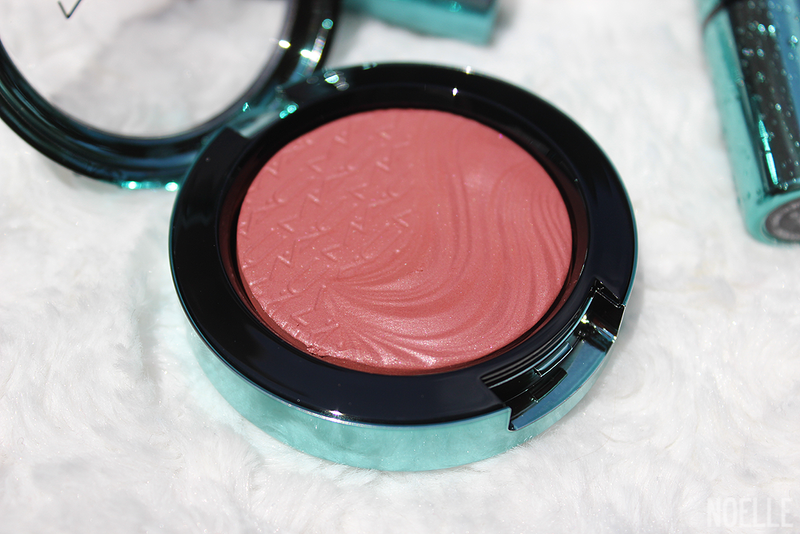 SMHM is absolutely stunning and is basically my favorite blush right now. I was so unsure about Delphic being too orange for my skintone but it worked well with it. They both have that gorgeous "sheen" (which I'm assuming is the "extra dimension" part) that makes both so flattering. I'm so happy that the packaging sucked me in to buy but the product itself stood out as well. I went to Macy's to buy the Sea Me, Hear Me blush, but of course it was sold out...so I ended up with brow gel instead lol. It's such a pretty shade! The more posts I see about this collection, the more I want it! Love the packaging on these! Love those blushers, they look gorgeous. 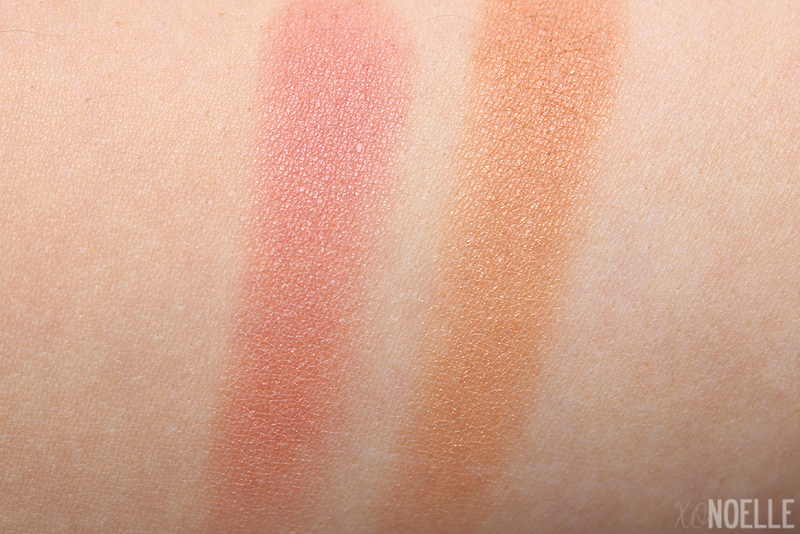 Your swatches are beautiful. I'm glad you had a great road trip! OMG I need all of these. I love love love all the Extra Dimension formula, and that gorgeous bronzer is amazing!!! Those are so gorgeous!! I need these! I went insane for this collection. Love it all! 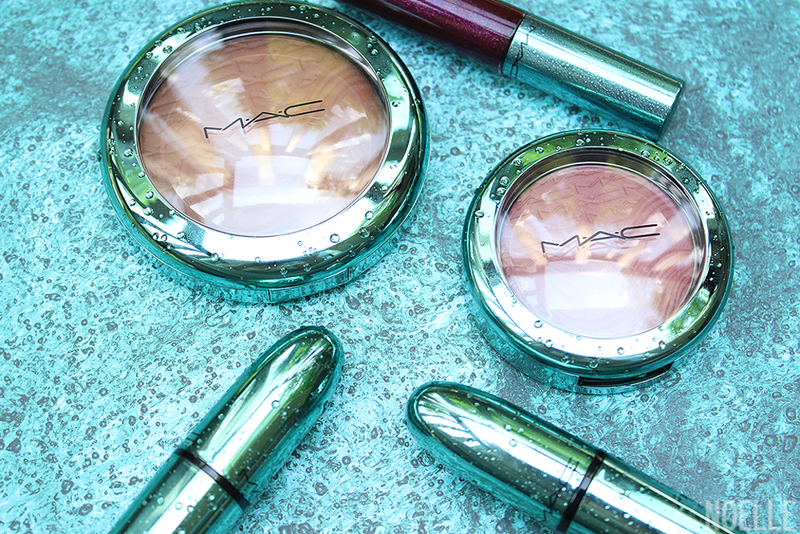 These look like they would create a fabulous dewy look for summer! This is the best packaging ever! I must have that blush!! Ooh, SMHM is gorgeous! I wish these collex weren't so hard to get. I love the packaging and the blush looks beautiful! I bought a Goddess of the Sea lipstick from this line but really want to go back and try some of the extra dimension stuff. Everything is so pretty from this collection! I'd almost buy everything just for the packaging! My AA order about made my boyfriend have a heart attack. I got both of these - and love them! The packaging on these are just awesome!!! Hmm I think that coral one would have worked for me. The packaging is pretty! I love the packaging on this line. I would probably buy Alluring Aquatic just for it. I'm hopelessly drawn to packaging. I have yet to try these out! But I need to get them..
these all look absolutely beautiful. Oh my, the packaging. It's so yum!